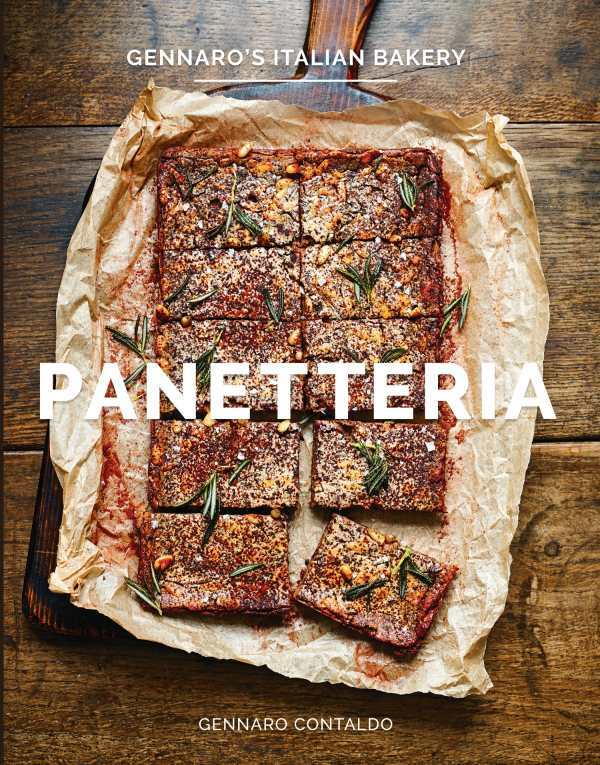 Inspired by the communal ovens, or panetteria, in rural villages of his native Italy, this London-based restaurant and television chef offers a course on how to bake the tempting breads, cookies, focaccias, tarts, and other treats commonly seen at an Italian bakery. Gennaro Contaldo begins with straightforward advice, like using the proper kinds of flours for different baked goods and seeking out fresh yeast wherever possible. His instructions for a basic loaf of bread are encapsulated in five short, no-nonsense paragraphs, though an abundance of photographs helpfully illustrate the baker in action, kneading, knocking back, and forming the dough into a wonderful assortment of shapes so that novices can achieve similar results. His confident advice makes it seem simple enough to master the art of making fresh bread, if perhaps not daily as he exhorts. Certainly one could use the book as a guide on luxuriant baking days to tackle any number of toothsome creations, succinctly and expertly explained. The author includes the history of many of the regional and holiday bakery items, like the Neapolitan Casatiello, larded with hard-cooked eggs, cheeses, and cured meats; harvesttime Grape and Rosemary Buns licked with olive oil, rosemary, and cinnamon; and the Le Marche region’s Pane di Farina di Ceci e Semo, a savory Pannettone-cousin that crowns the Easter feast. Dan Jones’s photography makes every illustration a food still life.